As each prep race passed, and Arc day got closer, the picture of who would land the 93rd edition of this epic race got murkier and murkier. Has last year’s winner Treve lost her sparkle? 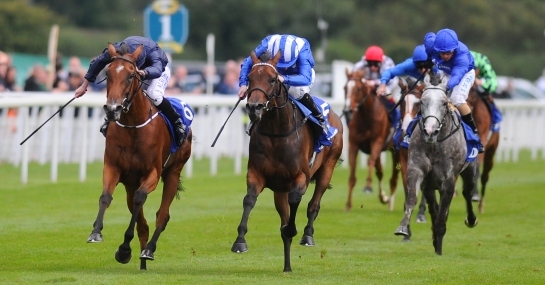 Was Taghrooda’s defeat in the Yorkshire Oaks a minor blip? Will Japan finally land an Arc? All these questions remain to be answered. And so with the big race ever closer, we look to imply a statistical and trend-focused take on the 20 runners at Longchamp, to find that elusive winner. The dismissal of certain chances may seem frankly quite brutal and fairly laissez-faire, but that is just how we need to be. Firstly, of the recent winners it has become pretty clear that you need to have some proven, classy form in the book already, with nine of the last 10 victors having both won at Group 1 level and bagged a prize of at least £170k. With this we can say goodbye to eight entrants here, including Spiritjim who did land the Grand Prix Saint-Cloud but was stripped of the race after a banned substance was discovered in his system, as well as leading fancy Ectot. Next, with the trip of 1m4f catching many of the less stamina-laden charges out, only one winner in the last decade hadn’t already been successful at the trip. This is the moment we go some way to breaking Japanese hearts when we bid farewell to both Harp Star and Just Away, as well as the unbeaten French Oaks winner Avenir Certain. We are down to eight, and now need to look at the age trends. With a significant weight for age allowance coming into question in recent years, it is perhaps unsurprising that eight of the last 10 winners were from the Classic generation. And when you look at the two contests that were claimed by older horses in those years (2010 – Solemia and 2007 – Dyan Thomas), we can say that the quality of three-year-olds in those contests were largely questionable, with just two runners in total having previously won more than one Group 1. This time round, we have three horses in this race alone that have tasted success at the very top level more than once. So looking at the three-year-olds, we are now left with Taghrooda, Tapestry and Kingston Hill. We are going to swerve the latter of that trio as we feel the pace might be a bit on the sharp side for this dour stayer, and besides no horse has ever completed the St Leger/Arc double in the same year. That leaves us with the two fillies, who will both run off a relative featherweight of 8st8lbs, little wonder three-year-old fillies have won the last three renewals! If you take TAPESTRY’S victory at York as a true reflection of their quality, then the 10/1 on offer could be a very tempting price, with Ryan Moore booked to ride once again. But if you believe that defeat was a consequence of a tough King George Victory, long time favourite, TAGHROODA looks the way to go at 5/1, as she looks to bow out in style under Paul Hanagan. Either way, it should be a cracking contest, with at least seven heading to Paris with a real chance.